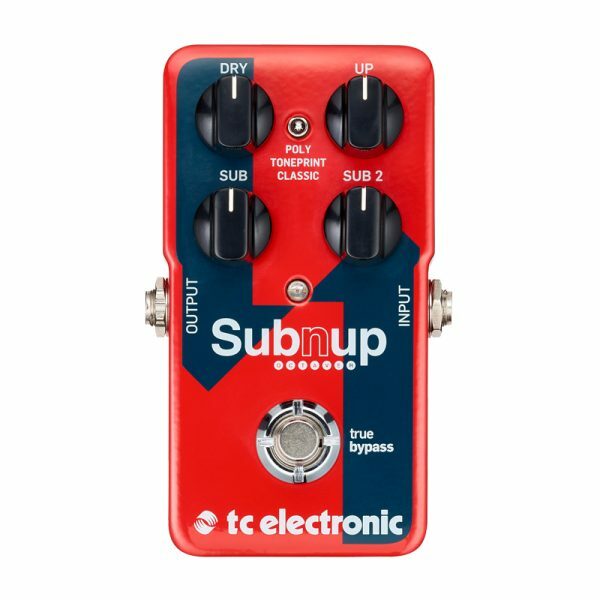 TC Electronic’s Sub ‘N’ Up Octaver pedal has the power to turn your guitar tone into a ringing 12-string, a mammoth synth-style tone, and still offer plenty of control to create your very own soundscapes. Glistening upper octaves and earth-shaking lows are dialed in with the Up, Sub, and Sub 2 knobs. You can expand the tone with added effects, download artist Sub ‘N’ Up patches, and create your very own presets with TC’s revolutionary TonePrint smartphone app and software. Create huge walls of sound with your TC Sub ‘N’ Up Octaver pedal.